Basically there is only one big topic. We will present our findings of a serious soundcheck of PA-systems for tango music and introduce the brand new TANGO-DJ.AT PA-system which will power all TANGO-DJ.AT events as well as any other event we are cooperating with. 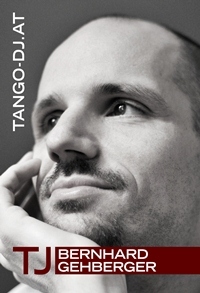 First chance to hear the new TANGO-DJ.AT sound system will be the 2nd International Milonga Vienna taking place this Friday 26 and Saturday 27 July! Second chance will be our Alpine Abrazo 2013 taking place 12-15 September in Mallnitz - National Park Hohe Tauern. 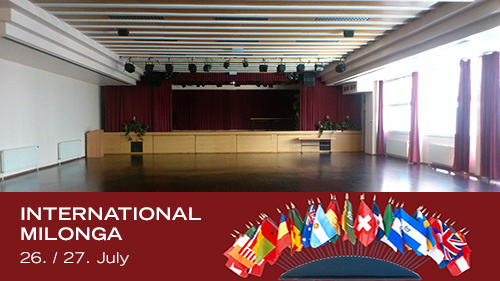 No registration necessary: Just come, dance and enjoy! * for TANGO-DJ.AT members. You may become associate member by attending one of our events. The registration for Alpine Abrazo is open! 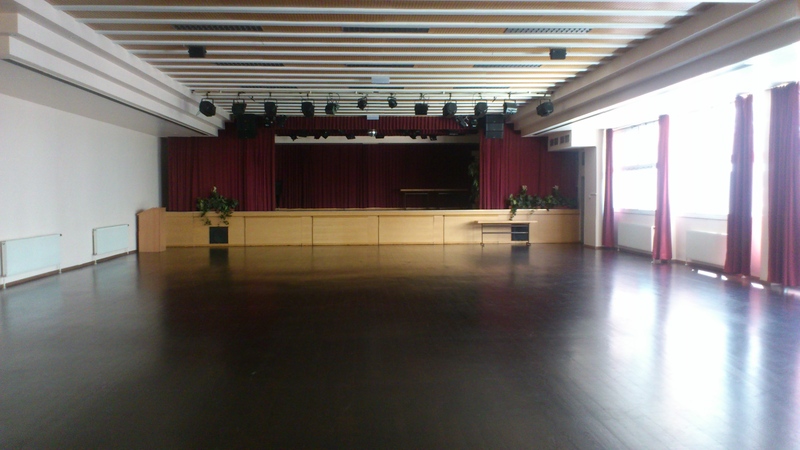 We planned to buy a PA-system to be used for events organized or supported by TANGO-DJ.AT. As hardly any professional sound engineer or seller is experienced with our old tango music and we were prepared to go for a serious big and expensive system, we made our own tango soundcheck! The whole system was pluged into a power socket being directly connected to the fuse without any other devices in line. All active speakers produced a noticeable noise when running. On the Mackie HD 1221 one can hear an additional silent ventilator running. This should not be an issue at event locations, but in rather small rooms this is noticeable. All speakers have a 12" driver and are two way speakers with the exception of the Dynacord which is a 3 way speaker. Both JBL speakers, active and passive performed disappointing. They were by far the smallest and lightest speakers, as was the sound. Despite a 12" driver we would not consider them a full range speaker lacking in bass and full sound. A sub seems to be necessary with those speakers. We also did not like the feeling of high and mid range frequency reproduction. The Mackie SRM 450 v2 had a rather loud but kind of shallow bass and rather disturbing high frequencies. We considered this speaker to be useable, but overall we had the impression to "hear" the big plastic body of this speaker. It is also said that the build and sound quality of these speakers are inferior to the old versions of the same range. As we had several more speakers we kept on comparing. Dynacord A 112 is a passive 3-way speaker. 3-way speakers are very unsual nowadays, but we thought that the dedicated 6" mid range driver should handle the important midrange frequencies in tango quite well. Compared to all other speakers the sound was very different indeed and could be described as oversized studio monitor. Sound characteristic was very bright, clear and maybe the most natural sounding one. Still we did not like it at all. It simply did not work for a PA-system. High and mid range frequencies were far to prominent and strong up to disturbing. Overall sound rather thin and very little bass. Now the last two speakers. Both share the same horn being produced by Martin Audio London. The sound was compareable, but different. Both have a strong clear bass and a full sound. You feel like the music being projected onto the listeners/dancers. The Martin Audio London F12+ features massiv, large and heavy wooden cabinets. They produced the strongest bass, but had limited possibilities to reproduction middle and high frequencies in very good quality. With those speakers we had the strongest "PA-Sound-Experience" like music being projected on our bodies. Overall feel of this speaker is that it would be perfect for powerfull and lound discothek music where strong beats should be "pumped" on to the crowed. It would be our first choice of the passive speakers. The Mackie HD 1221 is using a custom build horn by Martin Audio London and has sophisticated reproduction of middle and high frequencies. Bass is strong but not too dominant. The massive wooden cabinet seems to help to deliver rich and powerfull music to the listeners/dancers. Overall the Mackie HD 1221 had the most balanced, high quality and pleasant sound of all tested speakers by far. So we decided to go for 4 of the MACKIE HD-1221. As we were convinced by the quality of those we run a soundcheck also on the much larger HD-1521 and HD-1531. Those are developped in cooperation with EAW. The HD-1521 being a 2-way speaker with a 15" driver had the same sound character as the HD-1221 but with more bass and a stronger more present midrange. Overall again a different level of sound quality, so we got two of them. As were the 3-way HD-1531. Having a 6" midrange driver helps to reproduce very defined miderange, while the horn and the 15" driver can do what they can do best.. The sound is not to compare with the smaller 2-way speakers, but this comes for a price in EUR (1500,- EUR), size (50x50x100) and weight (almost 50kg)..
First possibility to experience the great sound of this system will be at the 2nd International Milonga Vienna next Friday 26 and Saturday 27 September in Vienna.